Consider this your invitation to enjoy the finest crystallized ginger in the world, in your own home. Our Australian ginger is grown near the northern coast of Australia, where the soils are fertile and the climate is extremely hot and humid—perfect growing conditions for this tropical rhizome. Although Australia produces less than 1% of the world’s ginger crop, it is universally acknowledged to be of exceptional quality, and we’re proud to offer you this rare taste of heaven at a great price. Our delicious Australian crystallized ginger comes to you gently sweetened with natural sugar, to provide the ideal balance of sweet-n-spicy to delight your palate. Australian ginger is sweeter and less pungent than the ginger grown in other parts of the world. The roots you find in the supermarket are typically harvested at a mature stage after 12-18 months in the ground, but the ginger used to make our Australian Crystallized Ginger is taken after only 5-6 months, while it’s still quite tender. 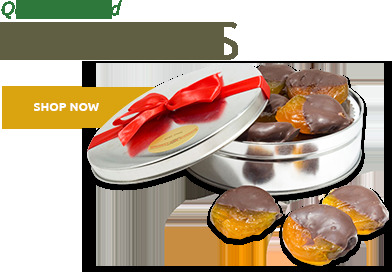 After slicing and crystallizing in a natural sugar solution, it boasts an incredibly fresh, clean taste and a soft, chewy consistency similar to gumdrops. As a result, most of its “crunch” comes from the sugar crystals. Mild and delicious, our Australian Ginger is outstanding for eating out-of-hand as a stand-alone snack, and mixes well with other foods to provide a wonderful gingery “snap” without overpowering the other flavors. You can cook or bake with it at will, or add fresh to your favorite dishes as that special ingredient that takes your dining to new heights. 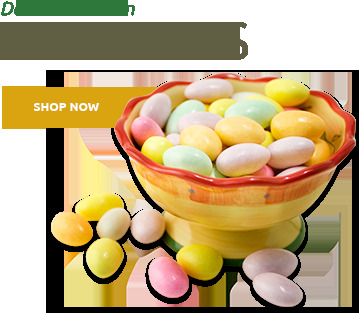 Try it in fruit sauces, trail mix, creamy salad dressings, or even as a contrast candy on a cheese or bread platter at your next get-together. Low in fat, with plenty of well-documented health benefits, our Australian Crystallized Ginger makes every day special! Arthritis In one published trial, 74% of rheumatoid arthritis sufferers reported marked pain relief and 59% reported a reduction in swelling. Nausea A study from Brigham University found that ginger curbs nausea by interrupting the feedback between the stomach and the nausea center of the brain. Circulation Ginger has been shown to stimulate circulation and the warmth it imparts to the body corrects the surface chillness associated with colds. Antioxidant Ginger contains phenolic compounds that protect fat cells from being damaged by highly destructive free radicals. Digestion Ginger is a carminative (ridding the stomach and intestines of gas) and an aid in the digestion of fatty foods. This is the most mellow Ginger, itâ€™s more like candy. Too much sugar and not hot or spicy enough for my taste. I really would give it a one star. My son loves it, so Iâ€™m giving it a three star. He said itâ€™s the best heâ€™s ever had. He does not like spicy hot food. I ordered some homemade organic baby ginger from the farm in North Carolina. Most ginger comes from China, even when it says certified organic, you really have to read all the labels and research where itâ€™s from. My understanding is China, Thailand, is loaded with lead, chemicals etc. When the baby Ginger is back in season Iâ€™m going to buy some and make it myself. You can also freeze Ginger. If you like very sweet, extremely mellow Ginger, this is for you. ProsGood price, fast shipping. Not from China. ConsToo much sugar, no flavor, not spicy or hot enough. Always tender and perfect. I munch a piece daily. I love crystallized ginger, for use in baking and for eating right out of the bag. But I like only Australian ginger, which costs more and is worth the extra cost. The Australian crystallized ginger from Superior Nut is the best I have ever had. 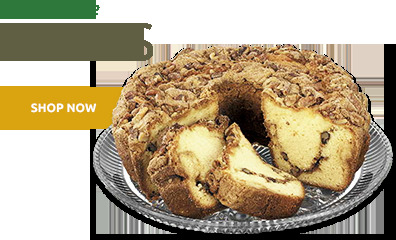 It is moist and crunchy, with excellent flavor, and always fresh. I wouldn't think of buying my ginger from anyone else. It is an very good product, however, the sugar coating is way too much.. must reduce it by 60%. Not sure if this will impact the shelf-life. So far superior to the Asian ginger that it's worth the extra price. Description of product is accurate. The ginger is milder, tasty and smooth. I enjoy snacking on them! 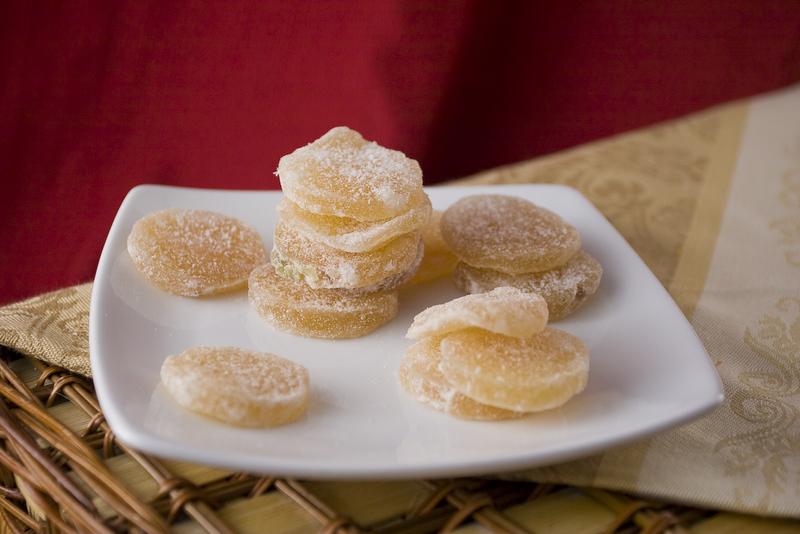 Delicious and unlike any other candied ginger. Australian ginger is the worlds best. This ginger is excellent, fresh tasting and spicy. I would prefer less sugar on the outside but it does balance the spice well. All turned out well; the only thing that was a neagatve for me - not you - was I needed to send one package to my daughter - so it ended up to be costly. But it was worth it. Perfectly balanced ginger. I use a great deal of ginger in my cooking. Not just for health reason but because I like the flavor & spicy taste. The Australian Ginger Slices have a unique flavor. I only wish that they had a little less sugar. Typical flavor and degree of sharpness for the Austrailian Ginger, put pieces were somewhat small in size. One of the creamiest batches I've gotten. Didn't think these little morsels could get better but they did. ProsSmooth, creamy, mild bight, perfect bite size. Works wonderfully for my stomach issues. ConsNot really bad but maybe a touch less sugar would be better. The Australian Ginger is the best I have ever had. I keep it it my home and in my car as well. I've been a customer of your company for some time and everything that I ordered was received very quickly and received in a timely manner. The selection is great, the products fresh and the prices cheaper then purchasing it in a local store. ProsI love the Premium Australian ginger slices. These are my favorite . The nuts are fresh. ConsI don't dislikes none of the items on your website. They are all wonderful. This is the best candied ginger ever! Sweet - soft - and spicy all at once. The pieces are a good generous size. My husband and I eat them as a digestive - but they are as tasty as candy. I haven't yet but I imagine these would be great in recipes calling for the ingredient. So good I have bought a second order. Australian ginger is likely the best in the world and this product represents that quality. Shipped on time, at the right price and excellent customer service. These ginger slices are some of the best I have ever had. They are firm with the right amount of sugar. Not to mention the fact that the rounds are nice and big without being stringy. Do not hesitate to give these a try. I will be a repeat customer! This Australian Ginger is much better tasting than the commonly available Thai ginger I have seen in local stores. The texture is very tender and there is just the right balance of sweet and spicy. This ginger is superior to any you will find at your local store or at other online retail stores. Not overly spicy - mild and sweet. I sent these to my Mother (who is 89 years old) and she was delighted. She was thrilled with the packaging and loved the ginger slices. I can highly recommend working with this company! 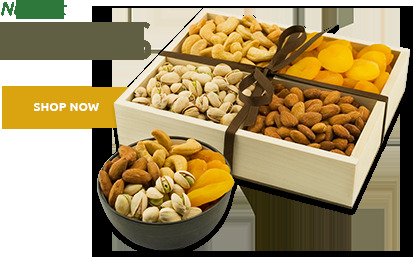 Nuts in Bulk delivered this product in an amazingly short time. We were delighted. In addition, we found the product to be fresh, delicious, and exactly as represented. We would not hesitate to order from this company again. I ordered this item as a holiday gift, and the recipients couldn't have been happier with it. On top of that, I couldn't have been happier with the price - significantly lower than other vendors. Will definitely repeat. This is really great aromatic and flavorful ginger that is very tender with no stringiness. The ginger slices are substantial and excellent for cooking or eating. They are high quality crystalized ginger that has been uniformly sliced, which makes them especially easy to slice or chop. They are delicious and able to stand on their own. Fresh, uniform quality, truly delicious. It is good but I don't feel it is any better than the regular ginger. ProsGood flavor, crisper than the regular ginger. any I've tried in the states. It is less hot. When I saw that Australian Ginger was offered here, I ordered and hoped that it would be like New Zealands. I was not dissappointed. It is delicious! ProsTaste - not too hot! ConsPrice and shipping costs are high. Best sweetened ginger I've ever had. I have ordered australian ginger from other companies, and this is by far the best ginger I have received! ProsThis is the freshest ginger I have tried. ConsThere is nothing to dislike. Even the shipping was very fast. These are the best ginger slices I have ever had. 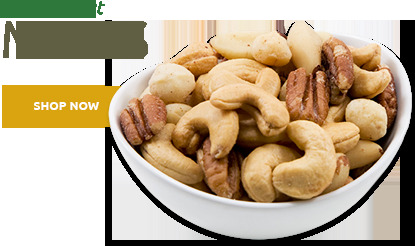 The service of Superior Nut is great with the ginger slices usually delivered to my door the very next day. These are not worth the money. The Thai ginger tastes MUCH more gingery and for 1/3 of the price. I purchase these tasty items for a dear friend of mine who loves ginger slices. He thinks your ginger is the best! I have purchased ginger slices locally elsewhere, but your product wins, hands down! Thank you.